Decorating is easy and affordable when you build upon what you already have. 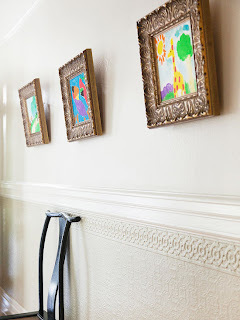 See how you can take ordinary items and work them into your decor with a few easy tricks, updates, and simple supplies. Display favorite memories and photos in a vignette that is personal and welcoming. Get a streamlined look by using fewer photos printed at larger sizes. Use frames you have and paint them the same color for a unified display. Or invest in inexpensive, basic black frames for a polished look. Sometimes decorating is just as much about subtraction as it is addition. Examine the inside of your cabinet boxes to determine if they are display-worthy. The insides may need a fresh coat of paint or just a good cleaning. Remove doors and fill any holes with putty and paint or stain to match the cabinet box. Display favorite dishes, utensils, and cookware or large jars filled with pantry staples, such as flour, pasta, and rice, inside the newly exposed cabinet. If your drapes have enough length, consider moving the curtain rod to the ceiling, which will give the room a greater sense of height. 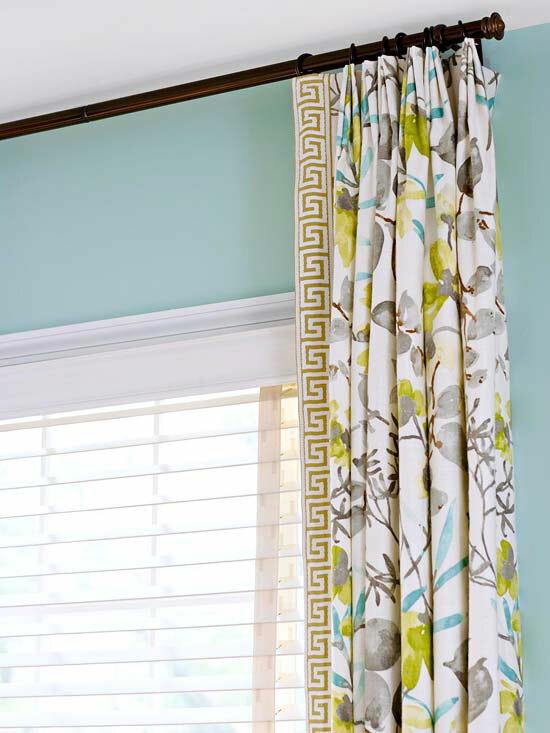 Before you make the move, measure your curtains to make sure they will still graze the floor if you move the rod. 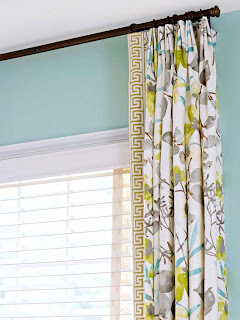 If you need a little extra length and your drapes currently hang by a rod pocket, invest in drapery clips, which will make the drapes hang a little bit closer to the floor. 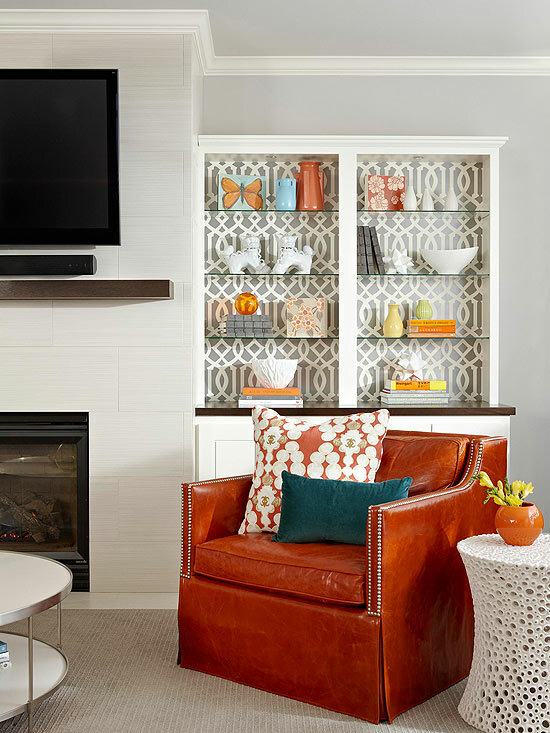 Wallpaper, fabric, and wrapping paper remnants are all perfect fodder for lining the backs of boring bookcases or built-ins. Score a discounted material and start lining for an easy, instant update. 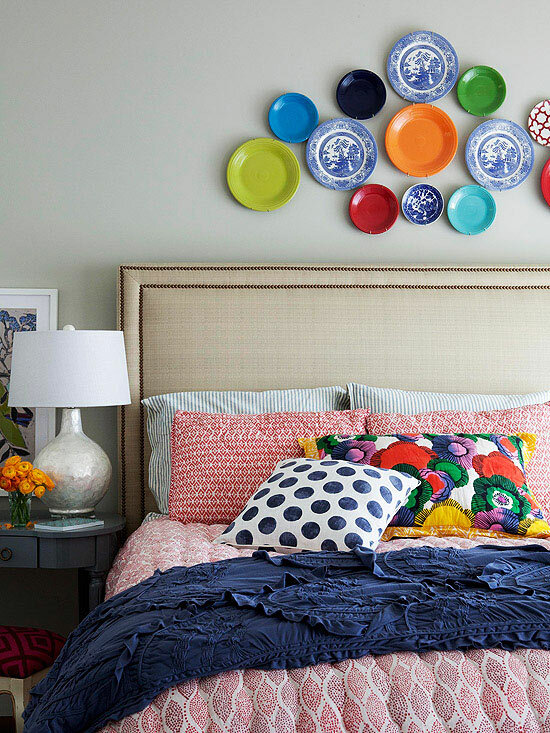 Bring a blanket out of storage to add an extra layer of color to a living room or bedroom. Fold a throw over the back of a sofa or the edge of a bed, allowing any pretty edge detailing, such as trim or fringe, to be visible. Kids bring home a plethora of finger paintings, construction paper creations, and carefully colored drawings. Instead of stowing away these masterpieces, put them on display in pretty frames. Plus, with the ongoing influx of artwork, you have a constant resource for changing up the gallery. Turn a hodgepodge of plates into a fun display. Use items from your own collection and scope out inexpensive companion pieces at thrift stores. Plan out your arrangement before you start hanging to avoid making unnecessary holes in the wall. For another way to wake up your bookcases, incorporate objects from throughout your house into the display. That serving platter you love, but never use? A horse figurine from your daughter's past fascination with all things equine? Anything with an interesting shape or design can be a candidate. Look for objects that have commonalities, such as white finishes, to create a more unified display. And resist the urge to add "just one more" item. 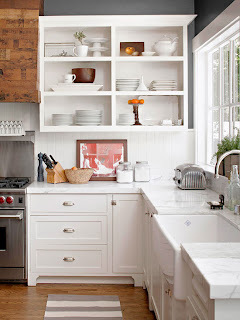 If you have a large collection, rotate objects in and out from time to time, rather than displaying everything all at once, to ensure the vignette strays from cluttered territory. 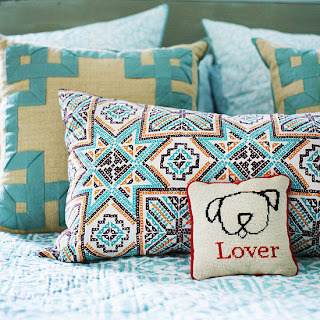 Pillows can be pricey, and if you are getting weary of yours, consider pillow covers in the same size as your existing pillows. The old pillow can act as an insert, and when zipped or buttoned into a fresh cover, no one will know that your new green pillow was once red. If you're handy with a needle and thread, make your own pillow covers.